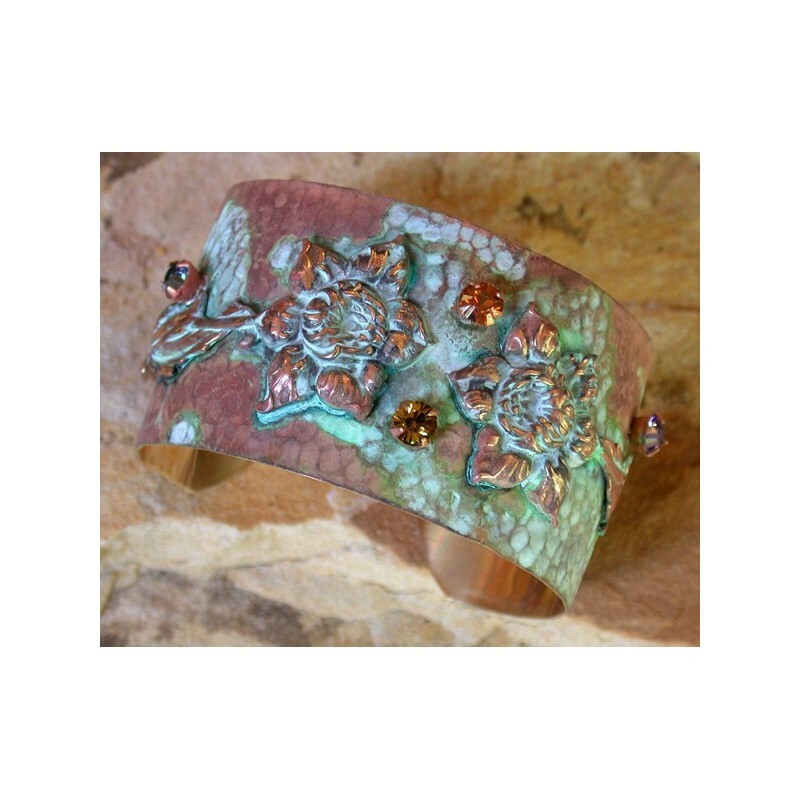 A Solid Brass 1 1/2" wide Cuff with Daffodil Floral motif on a Dimpled Texture background in our signature Verdigris Patina with Copper, Indian Sapphire, Lime and Tanzanite Swarovski Crystals. 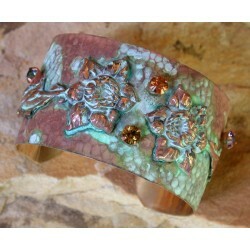 1 1/2" wide Cuff Style Bracelet. 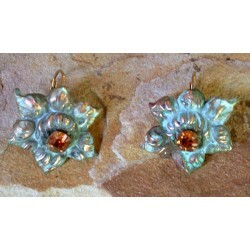 Length: 6 1/2" to 7 1/2" fits 95% of customers, custom lengths available, please call for information.